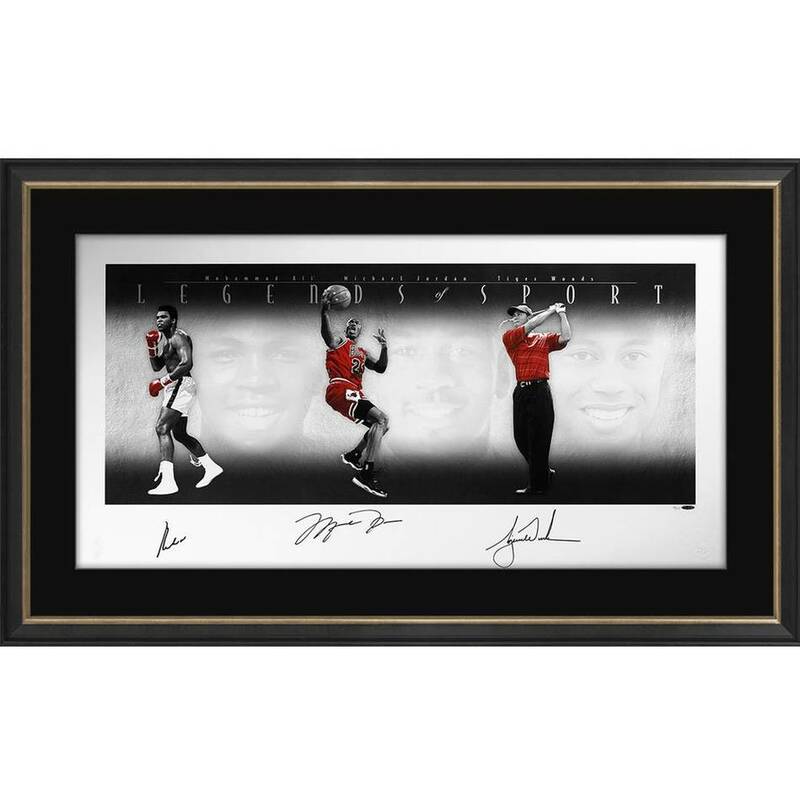 In celebration of three of the greatest athletes of all time, Official Memorabilia proudly presents the Legends of Sport Platinum Edition display piece, representing only the second triple-signed memorabilia production of Muhammad Ali, Michael Jordan and Tiger Woods. This limited-edition, mixed-medium art print was produced by an award-winning atelier on P-Velvet archival paper with hand-torn deckled edges. Celebrate these 3 masters of their game with a 49” x 25” display that also includes a hand embossed NBA and Upper Deck Authenticated logo. Their signatures are all guaranteed genuine by virtue of Upper Deck Authenticated's Five-Step Authentication Process.